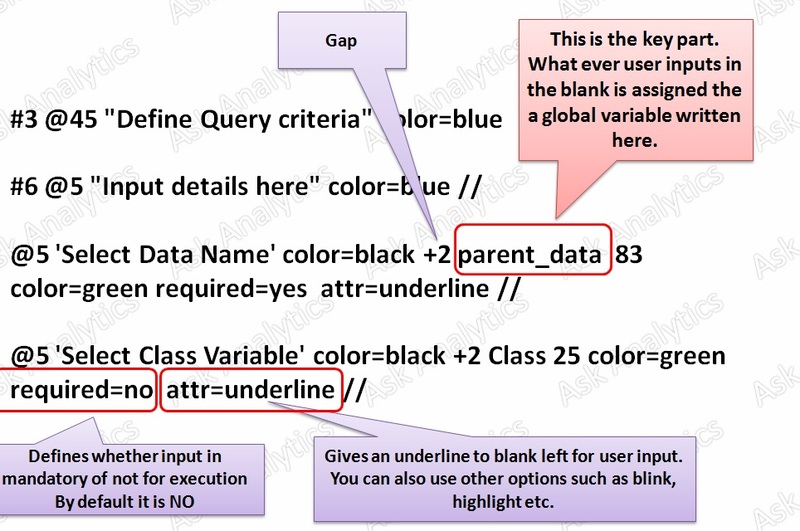 How to create a User interface SAS ? Often, People make a front end with Java, .Net, Python etc. and integrate SAS at back-end for processing. But people often are unaware of the fact that SAS also offers an in-built facility to create "very basic" UI . let's learn it and see if you can use it somewhere in your protect implementation.It is very simple and one might find it very useful in his/her project. 1. Task Window : The portion of code in which you do whatever you want to achieve with the code. Essentially, there are few macro variables that we don't call with the regular method. We rather use the UI method to do so in this. 2. 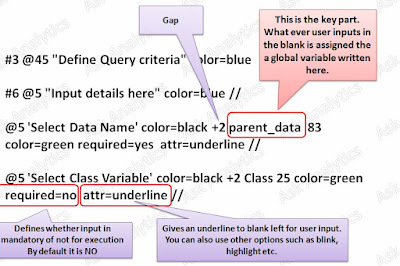 Execution Window : The code prompts the User Interface (UI) window and ask for inputs of user and these inputs are nothing but the values we assign to macro variables, defines in the Task Windw portion. select &Class., Mean(&param.) as Average_&param. 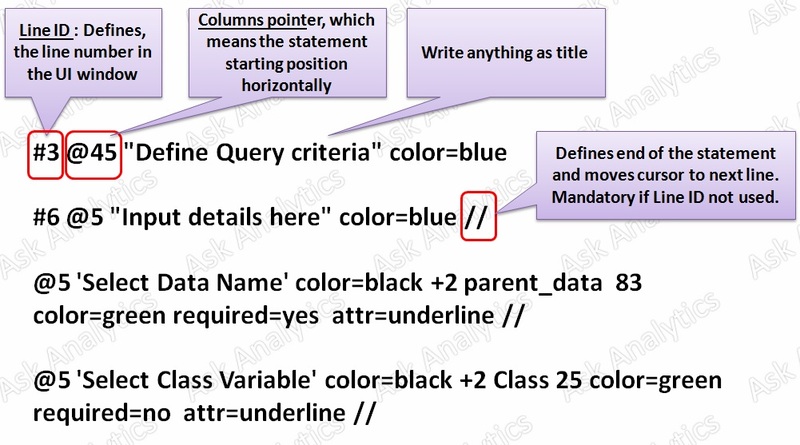 In the above Macro, we are summarizing a subset of data at a particular level. We have kept parent dataset name, group by variable, summary variable, filter variable, and filter criteria dynamic with the help of macro variables. We are going to call these (local) macro variables in the execution window now. How to interpret the line written in UI part ? How does the prompt looks on execution?